The Alligator Stainless Steel Chopper is a swedish invention designed to make food preparation quicker and easier! With its 3 x sets of interchangeable knife sets, you can make everything from finely chopped garlic, ginger or nuts to medium sized chopped onions or fruits or even chunky potato chips. The possibilities are endless! Features a sturdy stainless steel construction. Easy to clean and dishwasher friendly. Garlic is an essential ingredient in cooking, however chopping and mincing garlic with a knife can be quite painful and time consuming. To avoid smelly and sticky hands, why not choose a good quality garlic press that can become your new little kitchen helper? From the makers of The Alligator Original Onion Cutter, the Alligator Mini Cutter is in fact quite small in size (roughly of a size of a palm), however it does wonders. 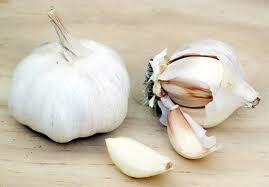 Besides cutting garlic it can also chop up smaller fruits and vegetables such as onions, shallots and chili. The Alligator Mini Cutter has a transparent collector so you can go through lots of garlic at once and see how much you have chopped up. Probably the most versatile product out of the 4 garlic presses. Dishwasher safe. The Chef Inox Jumbo Stainless Steel Garlic Press is made from quality 18/10 Stainless Steel providing exceptional sturdy construction and shine. Great advantage with this garlic press is with the physical properties of stainless steel, you don’t need to worry about any coating that will be peeled off in the long run. Bottom handle is slightly arched for a comfortable grip of the garlic press. The stylish and sleek design will fit nicely in your kitchen drawer. Dishwasher safe. The Oxo Garlic Press is probably the heaviest out of the 4 garlic presses, but once you hold onto this garlic press you can really feel the quality and sturdiness. Made from die-cast zinc construction, the ergonomic, rubber-like handles are slightly arched and will absorb pressure while squeezing, giving you a solid grip even when your hands are wet. Features a built-in cleaner – you just need to flip the handle to clean the excess garlic under the sink. Dishwasher safe. The Zyliss Susi 2 Garlic Press is lighter than the Oxo Garlic press, but it still feels sleek and solid. The specialty of this garlic press is there are no peeling involved. Just put the clove into the hopper and squeeze, then all the fine crushed garlic will come out like a breeze. The holes have been designed for steady throughput of garlic, which is important in cooking since you want garlic to be fine and uniform in size, so there will be nice consistency in the distribution of garlic flavour in your dish. The detachable cleaning tool is quite easy to use as well, but if you lose it then could be quite troublesome. Dishwasher safe. All Zyliss products comes with a 5 year limited warranty – now that’s a piece of mind!